Tom Sorley, vice chair of the First Responder Network Authority’s public safety advisory committee over the past four years, has been appointed as chair of the panel. 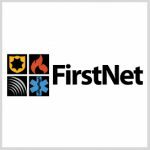 FirstNet said Monday the more than 30-year public safety veteran will lead PSAC and its efforts to help the agency uphold its goal to create a nationwide broadband network for public safety personnel along with the communities they serve. Sorley also serves as the PSAC representative from the U.S. Conference of Mayors and deputy chief information officer of public safety at the City of Houston Information Technology Services department. He is responsible for radio communications and IT services for the Houston Emergency Center, the city’s integrated dispatch and emergency operations hub. His three-decade career also includes time as manager of the Orange County, Florida, public safety communications division. Sorley’s appointment came less than a week after FirstNet awarded a potential $6.5 billion contract to AT&T to build the country’s first national emergency services network.